A new and unique way to send flowers direct from local florists in Switzerland. 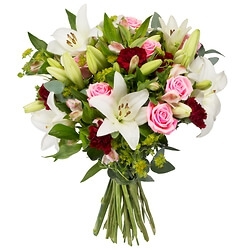 The only website where you can select the florist to deliver your flowers and bouquet arrangements. Choose our own local Swiss flower shop or florist in Switzerland and see pictures of their individual flowers and gift arrangements. All the listed flowers and arrangements are available for next day flower delivery to Switzerland. 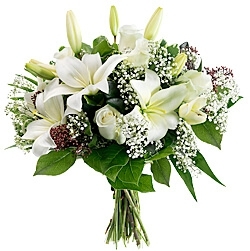 The florists also cater for same day flower delivery to Switzerland if ordered by 2pm local time. By sending flowers to Switzerland using Direct2florist, you can see and choose your local florist delivering flowers to Switzerland. Going direct to the local florists in Switzerland means bigger, more beautiful bouquets and excellent service from the local flower shops as the full flower money is passed to your chosen local Switzerland flower shops. Fresh flowers and gifts delivered in Switzerland by our local Switzerland flower shops. Order flowers and gift basket arrangements online by 2pm local time and get your flowers delivered same day by the florists you choose in Switzerland. We have local Switzerland flower shops displaying their own flower bouquets and gift arrangements. Your chosen florist receives the full price they have set for the flowers you order, this is "Our Guarantee" unlike other flower websites where major deductions are made. Florists are busiest every year around Valentine’s Day and the reason is obvious. There is no better way to say ‘I love you’ than with a bouquet of long stem roses. If you want to make an even bigger impression on that special someone, have those gorgeous flowers delivered to her at home, at work, or wherever you know they will be on that day by a local florist. There are countless reasons for sending a flower delivery by a local florist. Flowers are among the best gifts you can give. They create lasting memories and make a very big impact on the recipients. Prove your love and affection by sending a handmade arrangement of the season’s best quality floral displays by a local florist. Anniversaries and birthdays are annual events that must be celebrated with joy and flowers are the perfect complement to those occasions. Have you maneuvered yourself into the proverbial doghouse? 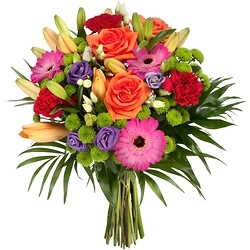 It is easy enough to say you are truly sorry by accompanying your apology with a delivery of flowers. If you know someone who is ill or just under the weather or feeling down, perhaps you would like to cheer him or her up with a gift delivered straight to their bedside at the hospital or wherever they are recuperating by a local florist. 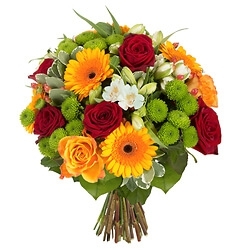 If you need to send flowers for delivery in Swiss from overseas, you have arrived in the best place! At Direct2florist we pride ourselves on offering shoppers a secure and easy way to order flowers on-line from anywhere in the world for fast and reliable delivery in Switzerland by local florists. Our website proudly presents hundreds of local florists across Switzerland. 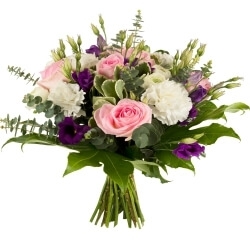 So if you need to send flowers to Swiss from USA or Canada, Australia, UK or anywhere in the world, we firmly believe our option is second to none!